Pier 66 Maritime is a seasonal outdoor site at Pier 66 within Hudson River Park. The location includes a former Lackawanna railroad barge, the Pier 66 Maritime Bar & Grill, the Lightship Frying Pan, a historic rail float bridge, and an authentic 1900′s caboose. The Pier 66 Maritime Bar & Grill has a full service bar and delicious food prepared on site. 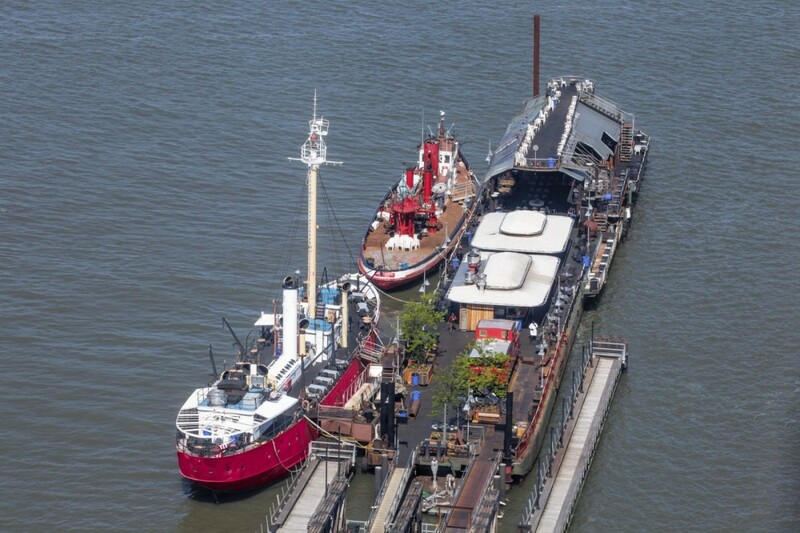 The Bar & Grill is located on the floating railroad barge that is securely docked at Pier 66. The Lightship Frying Pan and the John J. Harvey Fireboat are moored alongside. Come to Pier 66 Maritime and watch the boats sail down the Hudson River and stay for the sunset. Note: Pier 66 Maritime is a seasonal locale with some protection from inclement weather, we try to keep you informed of any occasional closings due to weather. Please check our Facebook Page for daily updates.